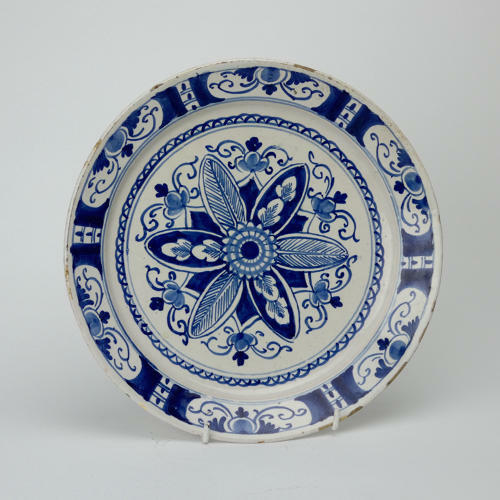 An eighteenth century Dutch Delft plate with a flower design to the centre. This piece is marked with the number '143', in red, to the reverse. It dates from c.1780. It is boldly, but quite primitively, decorated with a stylised flower to the centre and a wide border pattern in various shades of blue. It is in excellent condition with just the usual wear to the glaze on the rim which is inevitable with early tin glazed pottery.